Apply your base coat. 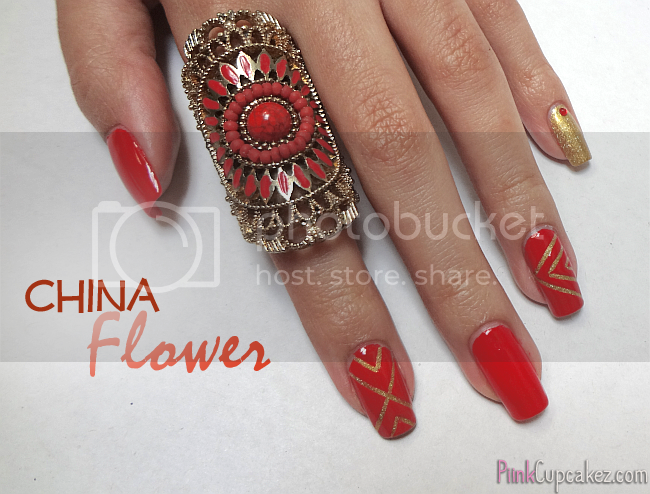 Then paint thumb and middle fingers with "China Flower" and index, ring, and pinky with gold. 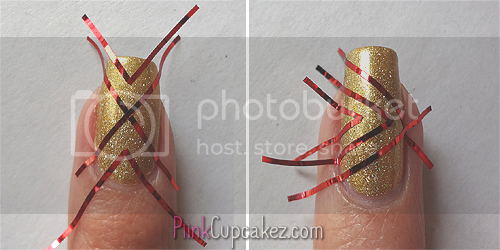 When completely dry, apply striping tape to index and middle fingers as shown in photo below. Then apply "China Flower" and remove the tape after a few seconds. 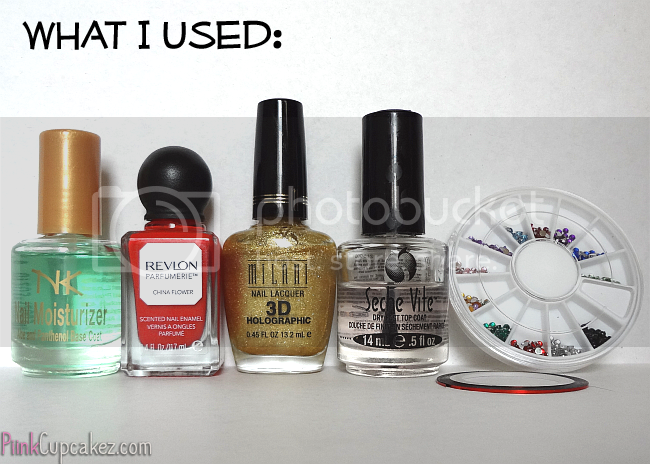 Place a rhinestone on your pinky using clear polish to make it adhere. This is only my second time using striping tape and not gonna lie, I was starting to lose patience with it when trying to match up where two of the ends would meet. Practice makes perfect though so expect to see more posts with me using it. If you have any suggested color combos or anything beauty/fashion related that you would like to see in a future post, leave a comment, email, or contact me at any of the links below.